I was recently asked why it is that I spend more time thinking about bad art than good art — at least, as far as blogging is concerned. There are a number of answers to this question. One is that there is a lot more bad art out there than good art, and it’s just as important to suggest to people what to avoid as what to experience. Another is that it is simply more fun to write about bad art because it allows the bitchy side of my nature to express itself, and apparently I please my readers more that way. The overarching reason is more complex; boiled down, it is that my feeling is one learns more about how to make good art by analyzing bad art than by analyzing good art. For instance, in filmic terms, one can enjoy a film like Avatar because of reasons that are not readily apparent to the naked eye. The composition of shots, the excellence of the special effects/animation, the skill of the actors, the careful way in which the script is built from start to finish, the way in which the thematic underpinnings of the script accord with Joseph Campbell’s theories on heroism… all these things were created by people who are among the most skilled in the world at creating entertainment. It’s difficult to pick at an individual thread because the movie is so skillfully constructed, so seamless, that it’s just about necessary to be a master of the art oneself in order to appreciate the subtleties and outline them for others. 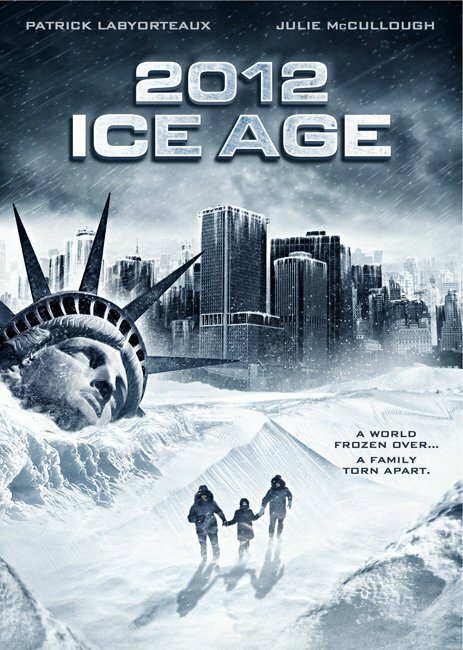 And then you have 2012: Ice Age, a 2011 made-for-TV movie from SyFy channel, which is possibly the polar opposite of Avatar. Honestly, this film is simply so awful, so atrocious, that it’s like a lesson in how not to make a film. It’s the disaster-film version of Plan 9 from Outer Space, except that Ed Wood had better instincts than to make this piece de merde in the first place. I wanted particularly to write about this because it is not often that I so thoroughly enjoy a movie — for all the wrong reasons. I was bellowing with laughter throughout the experience and, believe me, I don’t laugh that long and hard very often. Every single aspect of this work was so poorly done, so ill-considered, that it’s not just a product of too little money applied to too little imagination coupled with too little skill. This was the result of a staggering concatenation of bad choices; terrible production of a horrible script with inexperienced actors — I’ll be charitable and call them inexperienced — against a background of amateurish special effects and inexplicable cinematography. The sets are poor, the costumes are silly, the locations are ridiculous, the sound effects are poorly-timed. I’m willing to bet the production accounting was full of mistakes and the craft services truck was serving over-steamed hot dogs and tepid coffee. As I say, I roared with laughter throughout. How silly is this movie? One example will suffice, I hope. Near the beginning, the protagonist is dropping off his daughter at an airport. There is some “amusing” byplay whereby he’s about to be towed away from a no-parking zone, apparently in front of the main doors to a large airport. He drives away — and the camera pulls back to reveal what is fairly unambiguously a side street in an industrial area miles from any airport. Oh, and the location is completely different from what we saw seconds ago when he was being berated by a parking official; as is the degree of sunshine and the colour of the sky. (For all I could tell, they’re in a different vehicle.) The rest of this is filled with continuity errors and ghastly special effects lacunae of a similar magnitude. If you’re like me, you’ll cherish this movie as a prize of your collection; 99.9% of the viewing audience would be well-advised to stay as far away from it as possible. Consider yourself warned. This entry was posted in Film, Science fiction and tagged Avatar, Ecodisaster, Ed Wood, Piece de merde.